Looking to upgrade to Windows 8? 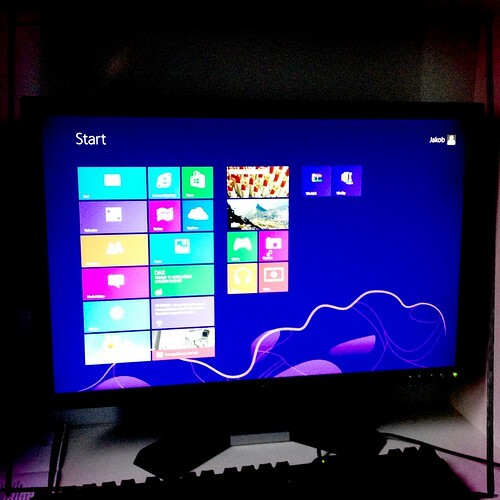 A review of the Windows 8 upgrade. Windows 8 is here and the response seems to be mixed in terms of how Microsoft’s new operating system is being received by consumers, both residential and business. As Windows 8 is new, in terms of computer repair we have not had to work with this operating system too much. All of us have taken the time to learn the operating system during the open beta, and we have had a few customers in for a Windows 8 downgrade or minor bug fixes. So far the majority has been setting up new computers with a Windows 8 upgrade, transferring data from old computers, adding user accounts, and of course tutorials on how to use this new Windows 8 interface. As usual when Microsoft releases a new operating system, we get asked about upgrading. Our experiences are mixed in terms of how Windows 8 benefits users. I see where Microsoft is going with this. They have the only operating system which is nearly seamless across the smartphone, tablet, and PC market. This is where Microsoft is hedging it’s future; that customers don’t want to have to learn one operating system to run their desktop, another to play with their tablet, and another to use their phone. By making an operating system which works across all these main devices, it simplifies the learning curve and makes buying future products which run Microsoft’s software much less of a blind jump into new waters. On top of this, Microsoft is going the way of Apple’s App Store and giving customers a Microsoft Store which allows them to locate new software and buy online directly from within the operating system. Finally even PCs can get new software without having to go to the big box stores. Also, the sync features of Windows 8 allow you to perform personalizations on one device and have them sync to other devices, so software settings on multiple devices can be the same. 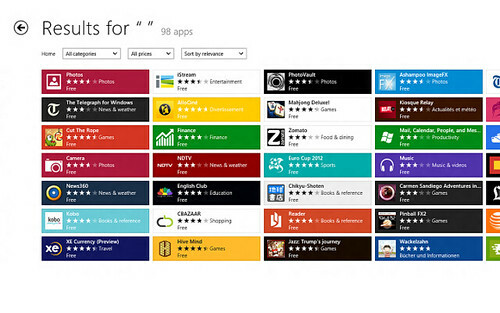 The Windows 8 Store is a huge step in the right direction for PCs in general. Downloadable software is critical to the future of all things PC. It is actually surprising that it has taken so long for a software store to come to Windows, but now that it is there, developers have direct access to reach their target audience at the exact location the customer is needing the software – right in front of their computer. In turn, customers now have a way to vet out good and bad software, and find what they are looking for from a store which also vets its list of products. In other words, Microsoft will make sure the software works on your PC, and the users will make sure you know if its worth it or not to buy. This feature is not readily apparent in the new Windows 8 operating system – Windows users haven’t had this kind of access to software yet – however once you find a single software title that solves a problem or enhances Windows for you, you will forever think about checking the Microsoft Store before purchasing software in a box, and that bodes well for Microsoft. Oh the Windows 8 Desktop, how could you abandon the Start button? This is where the mixed feelings of Windows 8 really hits home. A few days ago, I reclined in my chair at home. My hand on my mouse, elbow on my armrest, and legs stretched out – my Hulu.com position, in most cases. You’re probably in a similar position right now. From this position, you have little to think about. Move the mouse down to the bottom left, click, and viola, access to all your programs. Don’t like this page and want to close it? A quick flick of the wrist to the far top right, click, and you’ve closed the window. It’s natural and feels right. Bottom right time and date, top left window icon; Windows 7 makes sense. It’s really good, and after a few Windows 8 setups, I am happy to go home to a less stressful Windows 7. There is quite a bit of rage over this feature. It feels like a step back. Thankfully there is a solution – you can download and install a Windows Start Button and have it show on the desktop on the bottom left. According to this article, a single company has had over 500,000 downloads of a Windows 8 Start Menu. Upon reading this for the first time, I rolled my eyes – how does Microsoft let a third party come in and add a feature to their new operating system – a feature which has been a staple and a synonym for ‘Microsoft’ for over 10 years? How did they not realize there would be such a demand for this one feature, and why did no one add it as an official feature? I am baffled. Overall, Windows 8 is going to be a good step forward for PCs. It will just take a long while to get there. Usually it will require our customers a year of proven success before they will perk up and adopt a new operating system. When they do, it has been around long enough that its not scary to jump into anymore. Since so many devices will share the same user interface, it will become more natural to see Windows 8 on touch screen information kiosks, a phone, a tablet, and many other devices. Because Windows 8 is modular, it is fast on all its current platforms. Windows 8 won’t speed up your games by any account, but the average user will notice a good performance increase in their computer usage in everything from starting the machine to opening multiple apps. The tiles in the Start Screen make new information readily available, so you might find yourself a little more productive too. If you are looking to upgrade to Windows 8, we would hope that you are an above average computer user who can learn new ways of doing the same old thing. Windows 8 has its little hassles and bugs, but if you can endure a little pain I’m sure the long term experience will end up being a good one. The added features are desirable, as is the application speed. Gamers will likely stick with Windows 7, as will I for a while. If you have Windows 7 and are thinking to upgrade, you’re probably good to stay with 7 for a while – that is unless you have a Surface and a Windows Phone too. In those cases, why not make your life easier by syncing your operating system across devices? In the end, Windows 8 makes sense; it will just take some time for everyone to see it. 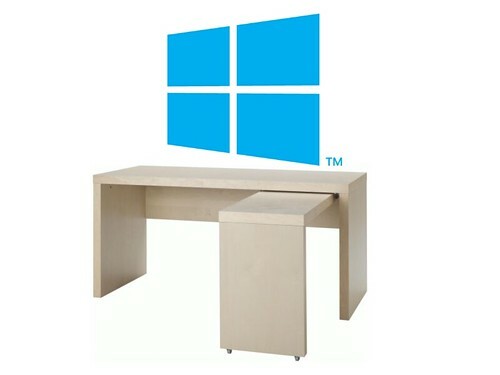 Here at A Plus Computer Tech we can help you with your Windows 8 upgrade, or a Windows 8 downgrade should that be more appealing to you. Some users who purchased new computers and laptops over the holidays are looking to get Windows 7 installed on that new hardware. Upgrade or downgrade, we can help with the process. For upgrades, we will make sure you have enough memory and processing power to handle Windows 8, and will make sure to backup all your data and transfer it to the correct locations on the Windows 8 installation. For downgrades, we can cleanly format the hard drive and get Windows 7 installed so you can preserve your familiar desktop. If you have any questions regarding Windows 8, or run into any computer repair problems, please give us a call and we will be glad to help. We are open every day from 10am – 6pm including weekends. If you enjoyed this article, please leave a comment below. Thank you! I heard that windows will no longer support XP so maybe I migrate to this windows 8 though I still don’t like windows 8 that much. 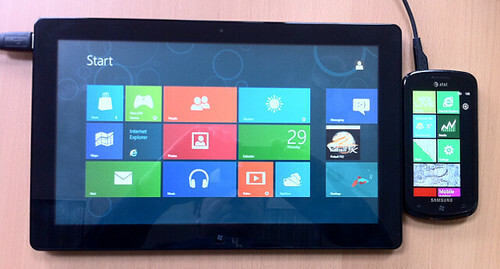 Your post is helpful for me to broaden my overview about windows 8, thank you!